RCHI’s Lawrence J. Vale coauthored a paper with Shomon Shamsuddin and Nicholas Kelly entitled, “Broken Promises or Selective Memory Planning? A National Picture of HOPE VI Plans and Realities.” We are excited to announce that paper was pre-published online by Housing Policy Debate June 7, 2018, and is now viewable online. Abstract: Government efforts to redevelop public housing often face a contentious gap between plans and realities. 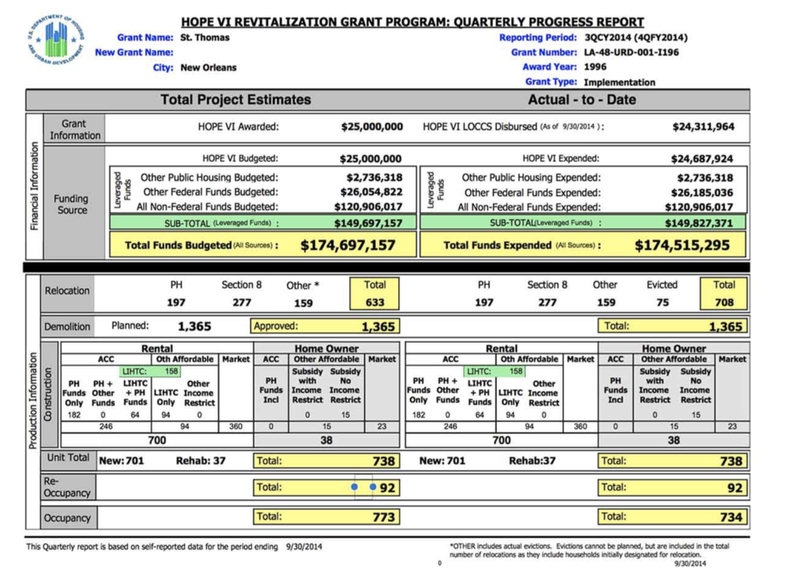 This paper compares 2014 U.S. Department of Housing and Urban Development (HUD) administrative data on housing unit counts and unit mixes for all 260 developments receiving Housing Opportunities for People Everywhere (HOPE VI) revitalization grants with data provided in the original HOPE VI grant award announcements. We find that HUD records undercount approximately 11,500 once-proposed units. The biggest changes were a 29% decline in the number of market-rate units and a 40% decline in homeownership units. The chief shortfall during implementation, therefore, was not with public housing units (although the HOPE VI program as a whole did trigger an overall decline of such units). To help elucidate the dynamics at play when the unit allocation shifts between initial grant award and implemented project, we include a series of five brief case studies that illustrate several types of unit change. Interviews with HUD staff confirm the baseline for record-keeping shifted during implementation once project economic feasibility became clearer; adherence to original unit mix proposals remained secondary. HUD prioritized its accountability to Congress and developers over its public law accountability to build the projects initially proposed to local community residents. Although these changes have sometimes been interpreted as broken promises, it is even clearer that HUD’s monitoring system exemplifies what we call Selective Memory Planning: when planners and policymakers, willfully or not, selectively ignore elements of previous plans in favor of new plans that are easier to achieve.